Referrers and clinicians appreciate our unique ability to care safely for specialist and complex needs in a homely residential environment. Our trained nurses have honed skills to reduce hospitalisation. We also undertake tracheostomy tube change, catheter change and peg change. 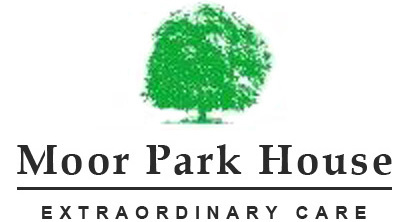 Services at Moor Park House provide an important and uplifting part of the care and whole-life pathways for assessed patients living with some physical impairment resulting from long-term neurological conditions. Our specialist and dedicated team of nurses and care staff offer care to individuals who suffer with a spinal injury. In April 2015 we were awarded a contract to provide three beds as part of a 'step-down' process for persons with a spinal injury that had been looked after in the North-West Spinal Injury Unit (SIU) at Southport Hospital. We work very closely with the staff at the SIU, especially the Out-Reach team, to provide seamless quality care to ensure continuous progression and the best possible outcomes. Those residents who come to us as part of the Out Reach programme are encouraged to take a lead on their care to empower them to move forward to the next stage of their lives, living as independently as possible following a life changing event. Making choices, returning to partners, children and accommodation which they can call home is a vital part of retaining control and self-esteem. Care is delivered as part of a rehabilitation schedule that is tailored to suit the individual requirements, and this flexibility is essential when it comes to effective management of a person’s complex needs prior to discharge. Special attention is paid to helping both service users and their families and friends to manage expectations as they move onto new chapters in their lives. At Moor Park House we offer care provision to people with neurological conditions, which leave them with complex nursing needs. This will typically include requiring medium to long term care as part of their clinical care pathway and watchful maintenance and rehabilitation of their capabilities. Our experienced team provide continuing and respite care for people with a neuro-disability, that are affected by a physical deterioration in their nervous system, affecting movement and brain functioning. We have a wealth of experience in dealing with a number of neuro-disabilities, including Multiple Sclerosis, Motor Neurone Disease and Huntington’s disease.